According to Prime Minister Dr Ralph Gonsalves, the amendment seeks to bring the ALBA Bank in alignment with other financial institutions such as the World Bank, Caribbean Development Bank (CDB) and the Caribbean Development Fund (CDF), from which this country borrows money. 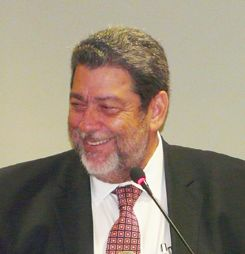 âThe entities to which the Government subscribes on an ongoing basis, there is no requirement in the law for every time you are seeking a loan, you come to Parliament,â Gonsalves said. âIt just means that you come to Parliament in the usual way, when you are speaking at the budget or at any time,â he continued. The Prime Minister said that the amendment was being done for practical reasons and for the ALBA Bank to be put on the same footing as the others. âThe instruments regarding the ALBA Bank had been brought into the House in the same way that the instruments for the others have been brought in,â Gonsalves said. In 2010, a bill was passed to raise US$50 million from the ALBA bank for the international airport and other capital projects. Now that St Vincent and the Grenadines has been a member of the ALBA bank for two years, and, according to the Prime Minister, was on very good footing, it was his intention to put the bank on good footing.